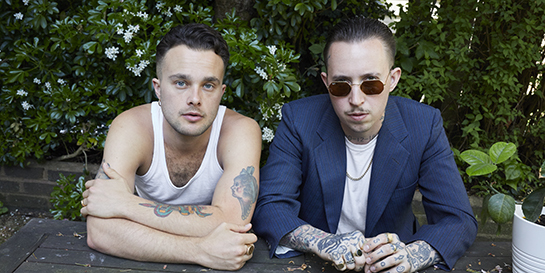 Following the release of their recent single Cut and Run, British duo Slaves have been gearing up for the release of their third album Acts Of Fear And Love on August 17 through AMF/Virgin EMI. Posting on Twitter, Slaves revealed the tracklist for the album last month as well as previewing the three new songs from the record - Chokehold, The Lives They Wish They Had and Photo Opportunity - during their Mad Cool festival performance in Madrid. To celebrate the upcoming launch, they have released new instalments of their quirky web series Slaves TV where fans can already get immersed and watch a spoof behind-the-scenes making of the album featuring Laurie’s son baby Bart as the difficult producer. The team at AMF/Virgin EMI maximised on organic material to re-engage the band’s unique fanbase, using vertical cuts of the videos across socials. Having previously won two NME Music Video of the Year awards, their latest offerings for both Cut and Run and Chokehold look set to carry on the tradition. Following their Mercury-nominated top 10 2015 album Are You Satisfied? and 2016’s top 10 album Take Control, the band have opened themselves up to new territory. The album’s title is inspired by a comment once made by drummer Isaac Holman's college teacher - "There's no such thing as hate - just acts of fear and love." For all their album campaigns, the band have returned to the venues where they made their name. For this release, they drew on their roles as ambassadors for the Music Venues Trust to pick out four small independent venues across the length and breadth of the UK where they played intimate shows to fans. The sold out I Would Drive 500 Miles and I Would Drive 500 More and Then Drive 126 More Tour took them to Colchester, Pontypool, Dunfermline and Dover in July. They will also play 13 intimate in-store shows in record stores across the country ahead of a just-announced UK and Ireland tour which will include a show at Alexandra Palace; their largest headline venue to date.